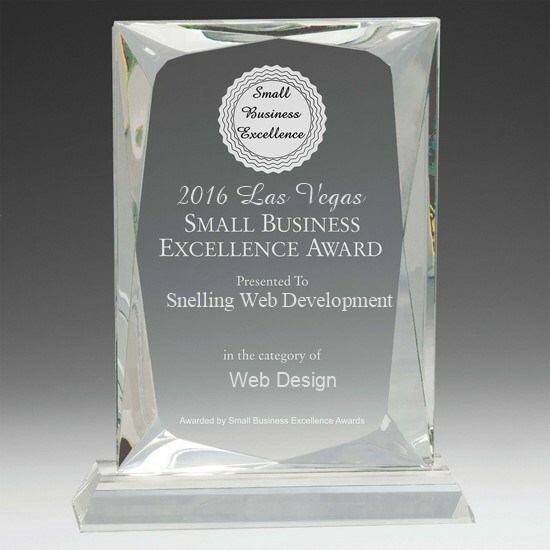 LAS VEGAS - Dec. 17, 2016 - PRLog -- Snelling Web Development was nominated for and won the 2016 Las Vegas Small Business Excellence Award in Web Design, presented by the Las Vegas Small Business Excellence Award Committee. Our mission is to award the small business community's contributions to the U.S. economy. We have the experience to understand the Internet needs of the business and organization markets, as well as the U.S. government sector. Our products & services are designed to minimize costs while delivering solutions that exceed the client's expectations.